#439 - Smoked Chicken Salad Lunch - Wots For Lunch? 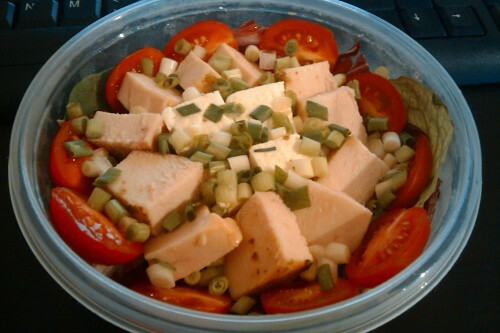 This entry was posted in Packed Lunches and tagged cheese, chicken, feta, salad, smoked chicken, spring onion, tomato. Bookmark the permalink. It was so nice meeting you last Thursday! It was lovely meeting you too.